PORCELANOSA’s 23rd International Exhibition ends as an unprecedented success. Once again, the PORCELANOSA International Exhibition, this year in its 23rd edition, has exceeded all expectations. 12,000 people visited our facilities in the 8 Showrooms of the Group, seeing first-hand the materials which will set trends in 2016. In each of the firms of the Group, the Premium environments have been the most celebrated, and those which have been most photographed and commented upon. For SystemPool the K® Hotel environment has amazed visitors with its restrained design, comfort and realism. 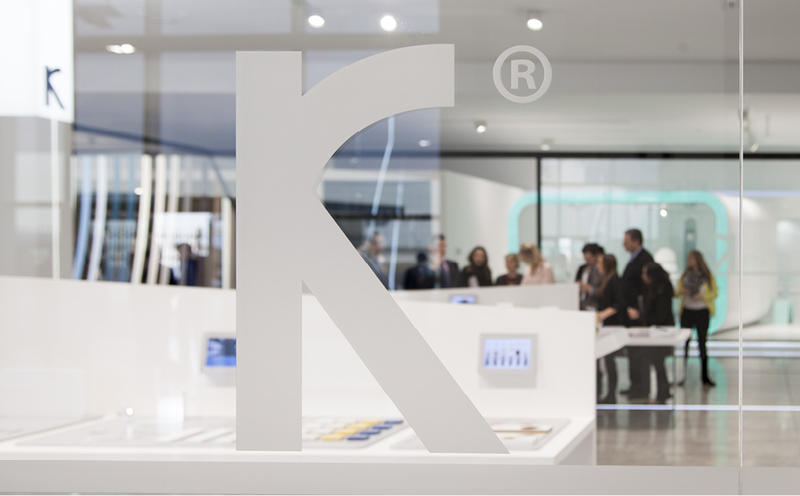 The Premium K® Retail area has combined the real possibilities of our material within high transit sectors, configuring the possibilities of our material in every corner. A benchmark for the best-known possibilities of KRION® is always our K® Home environment, which amazed with the glamour of its designs and the practicality within reach of all visitors. It will soon be possible to visit our exhibition on the KRION® website, with the novelty of being able to enjoy the VR experience.